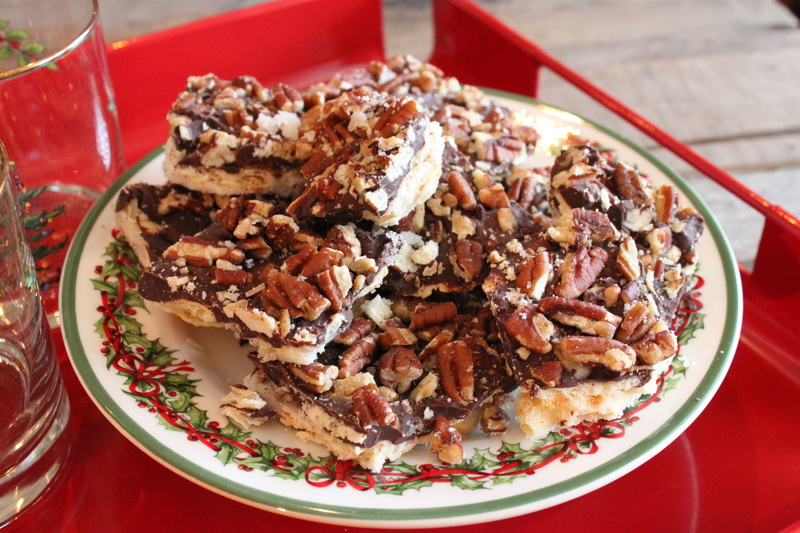 Many, many years ago a coworker brought this brittle to work for everyone stuck working on Christmas Eve…..and it was so rich and delicious that it made working that day much less sufferable. Now I make it every year. Just be sure to overlap them just a little…. 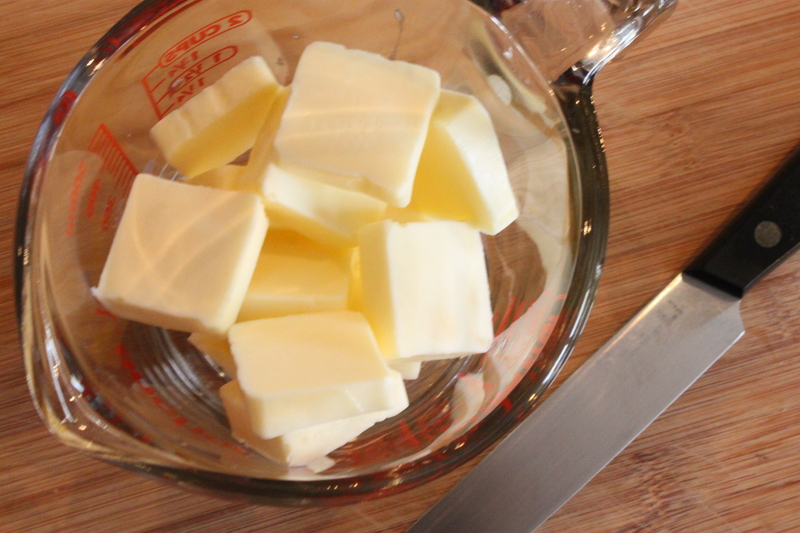 Melt a stick and a half of butter in a measuring cup in the microwave. 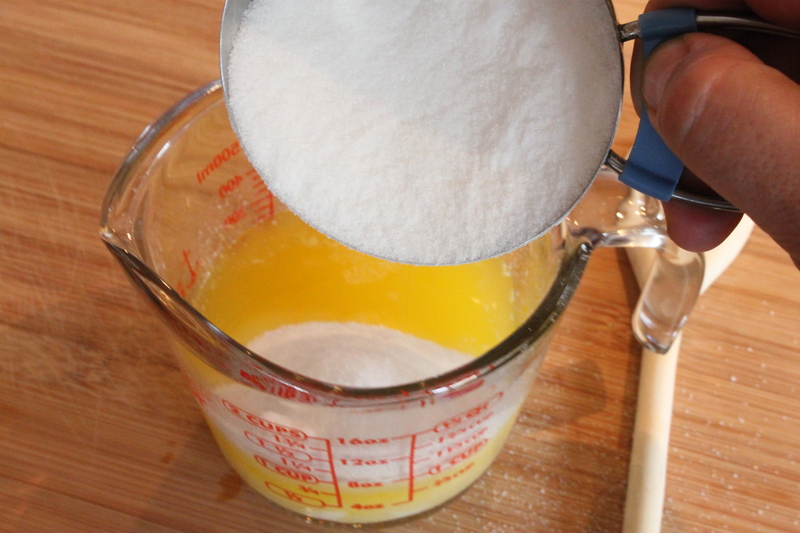 Mix in a cup and a half of sugar…. 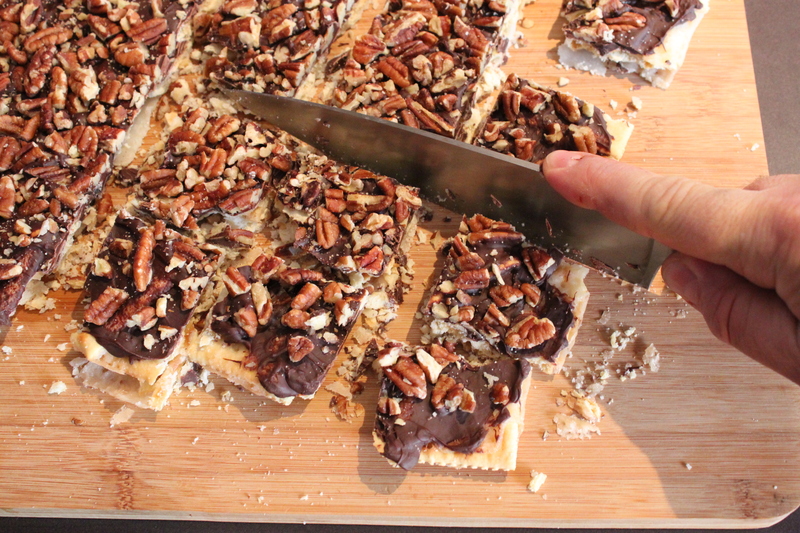 I know, I know, a cup and a half of butter AND a cup and a half of sugar…..that’s why I only make this at Christmas. 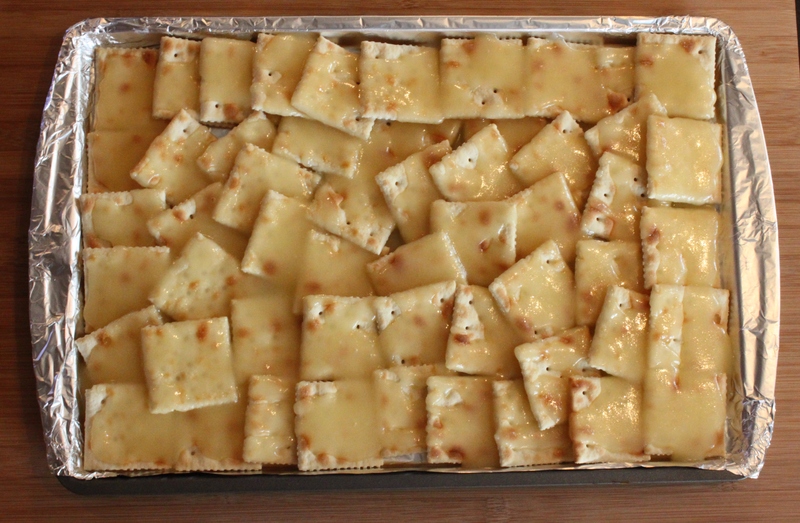 …..Mix well, and pour the melted butter mixture over the layered Saltines. 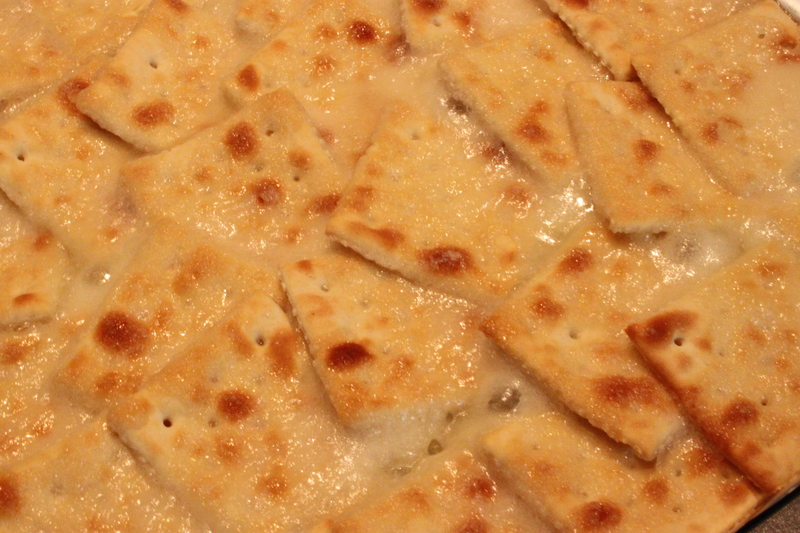 Cover all the Saltines the best that you can. They don’t have to be completely covered. Pop the whole cookie sheet into a preheated 400 degree oven for about 6-7 minutes. 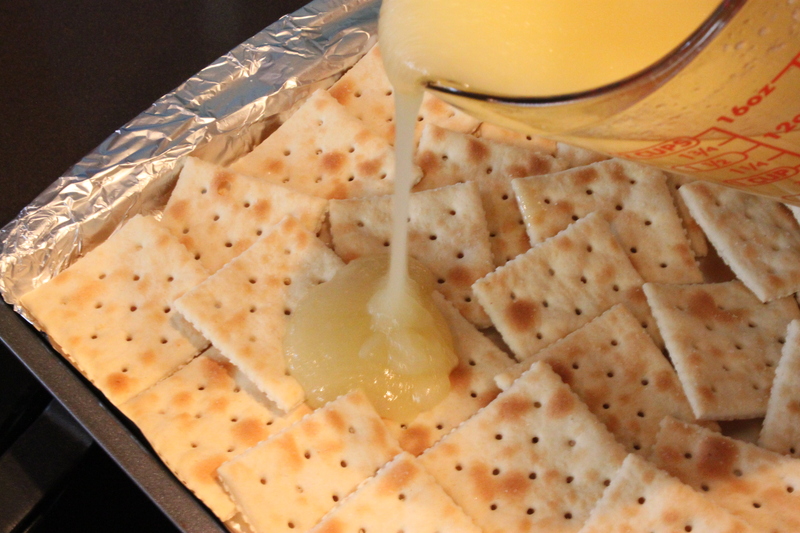 The butter/sugar will bubble up and the crackers will brown slightly……just slightly. 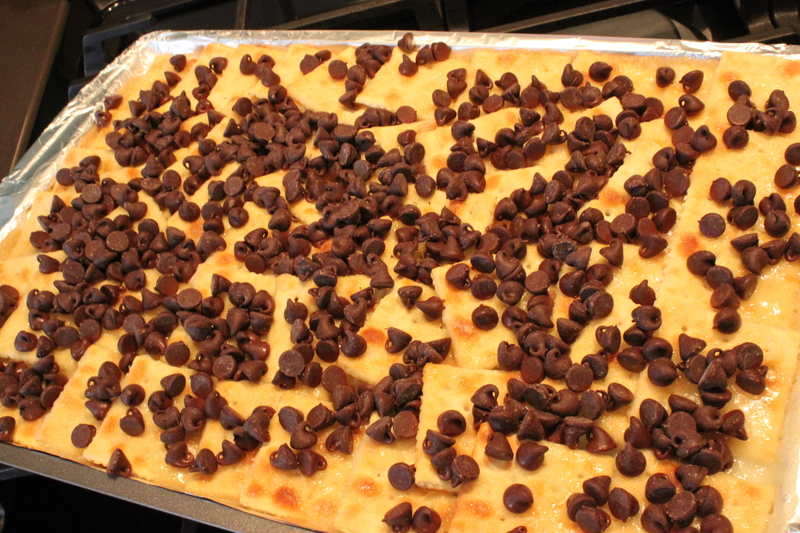 Remove from the oven and immediately sprinkle a whole bag of semi-sweeet chocolate chips over the top of the still hot-from-the-oven crackers. Wait just about a minute for the chips to melt from the heat of the cracker/butter/sugar and spread the chips with a rubber spatula to cover the crackers. 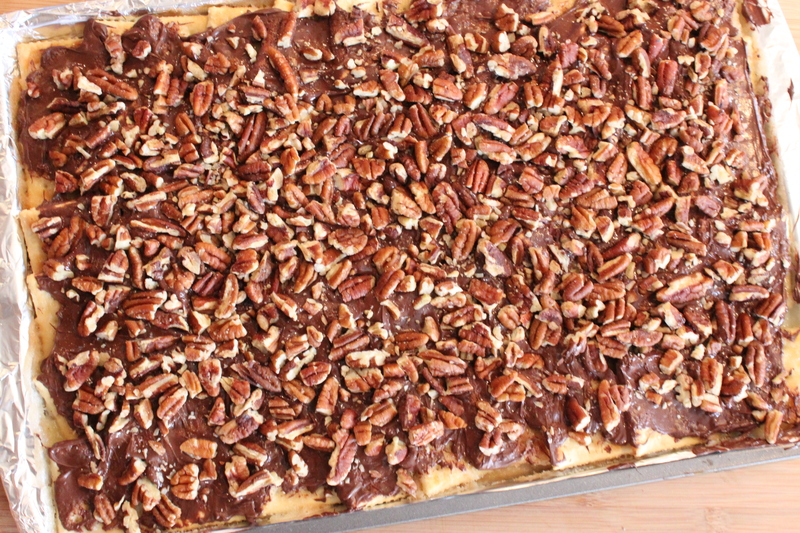 Sprinkle a bag of roughly chopped pecans over the whole cookie sheet. Now let everything cool till completely hardened. The fridge works best, but since it’s 28 degrees in Dallas this week, I just put the tray in the garage for a few hours. 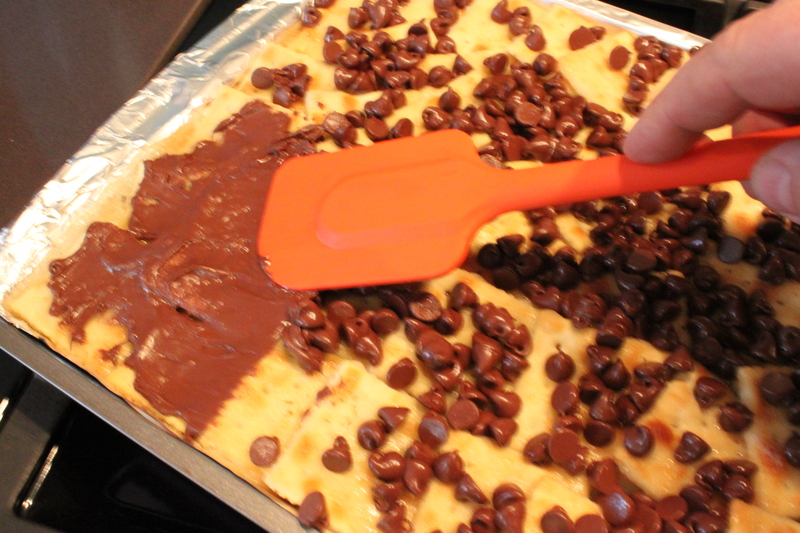 Remove the whole piece from the cookie sheet and the foil, then roughly chop it into squares. I say roughly, because it really does crumble apart. It’s the Holidays, live it up a little. I make this too. But I add red and green m&ms on top for a little Christmas color. Will try it. Looks less scary than my late mother’s peanut brittle with the boiling sugar. 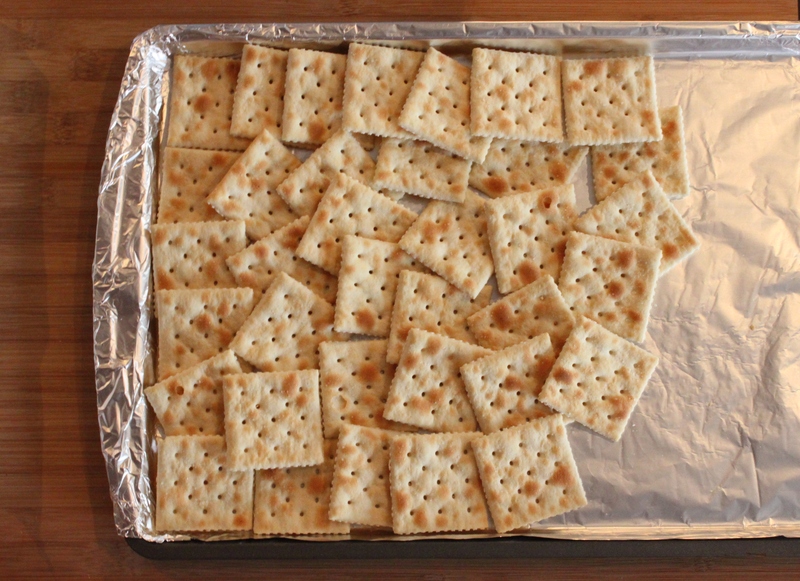 Cracker crack is in the oven! I’m trying a variation using Mission tortilla chips, in addition to graham crackers, topped with white chocolate, sliced almonds & 50% less sugar Craisins. I’ve previously topped with dried pineapple & coconut.